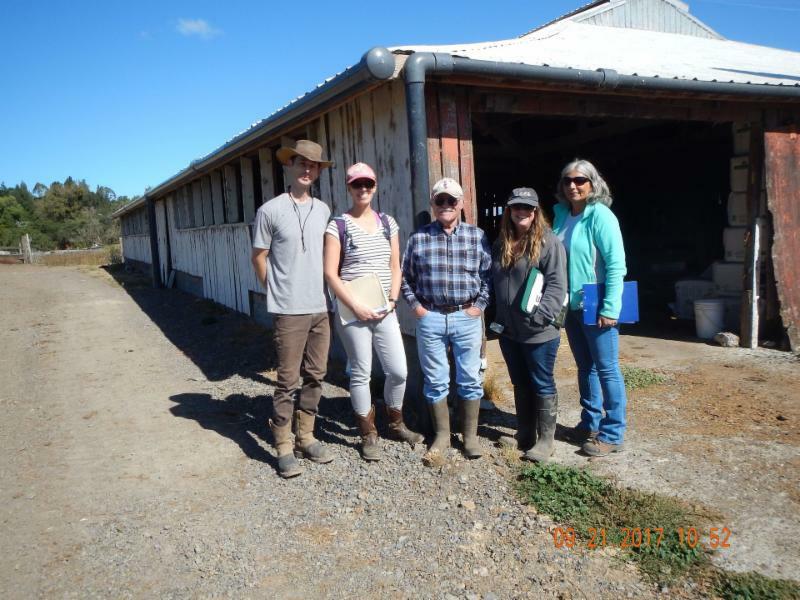 The Dei Dairy and other dairies in the Laguna de Santa Rosa watershed have been partnering with the Gold Ridge and Sonoma RCDs and NRCS to bring about improvements to their operations through the CA Water Resources Control Board's nonpoint source pollution control program. 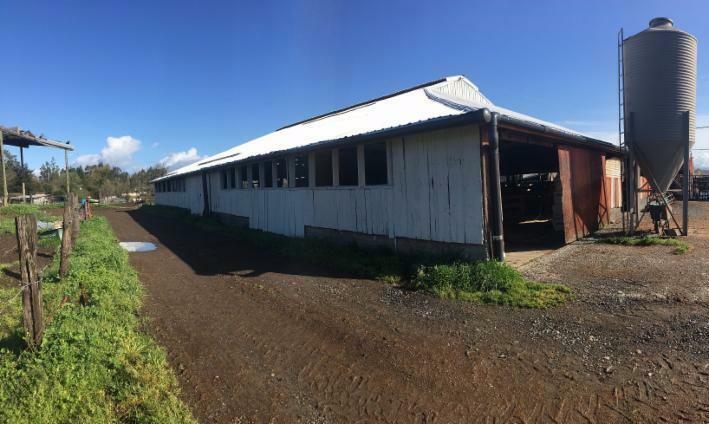 This summer, infrastructure was installed on the Dei Dairy's barns and grounds to divert rainwater away from manure and toward grassy pastures. Projects like these assist dairy operators within the watershed to maintain compliance with current and future water quality standards and assure that dairies are managing their manure resources. 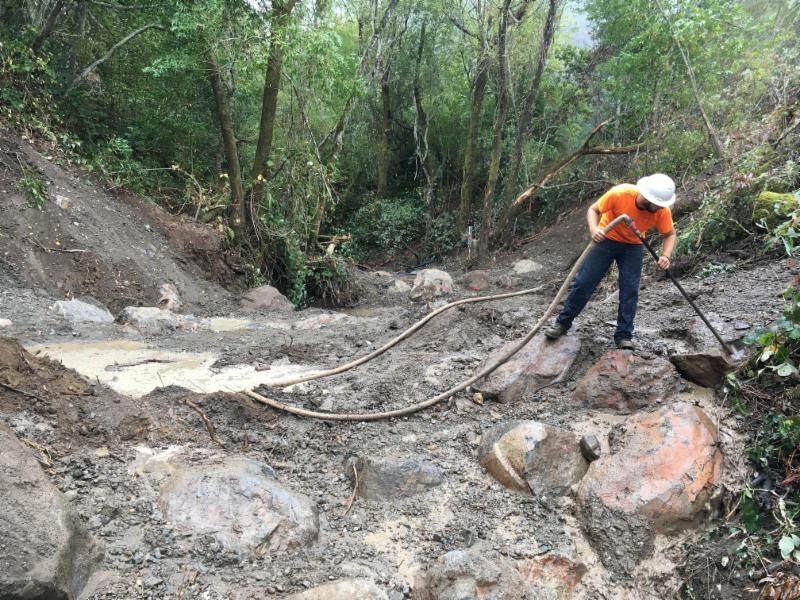 This summer, Gold Ridge RCD and partners made major fish passage and hydraulic improvements in the upper reach of Green Valley Creek. A damaged and undersized stream crossing culvert on the Green Valley Farm + Mill and Chenoweth properties was upgraded. 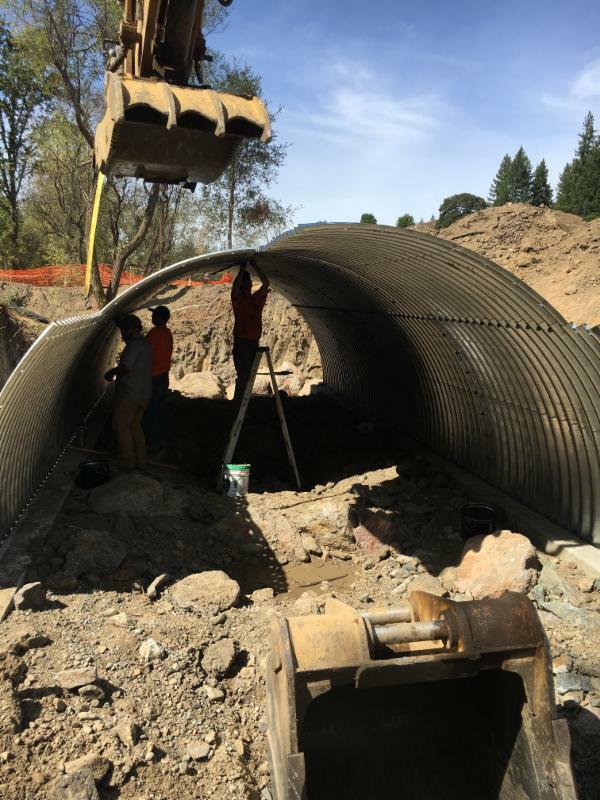 Previously an impassable barrier to migrating coho salmon, the corroded culvert was perched 11.5 feet above its downstream pool, and prevented fish access to nearly one mile of spawning and rearing habitat upstream. The potential failure of the stream crossing also presented a threat to water quality, stream bank stability, and flood plain connectivity. The reconstructed stream crossing now features a bottomless arch culvert and roughened channel specifically designed to pass the 100-year return storm flow, and allow fish unimpeded ingress and egress through the culvert. A series of boulder weirs both upstream and downstream of the stream crossing work in tandem with the constructed step-pool roughened channel to improve fish passage and stabilize the channel grade through the 600-foot project reach, and retain essential floodplain connectivity upstream. With our partners Sonoma RCD and the NRCS, we brought out games and experiments to educate (and play) with healthy soils at the Agrarian Games in Petaluma on September 16th. Agrarian gamesters of all ages joined us to paint with pigments made from local, pulverized soil. 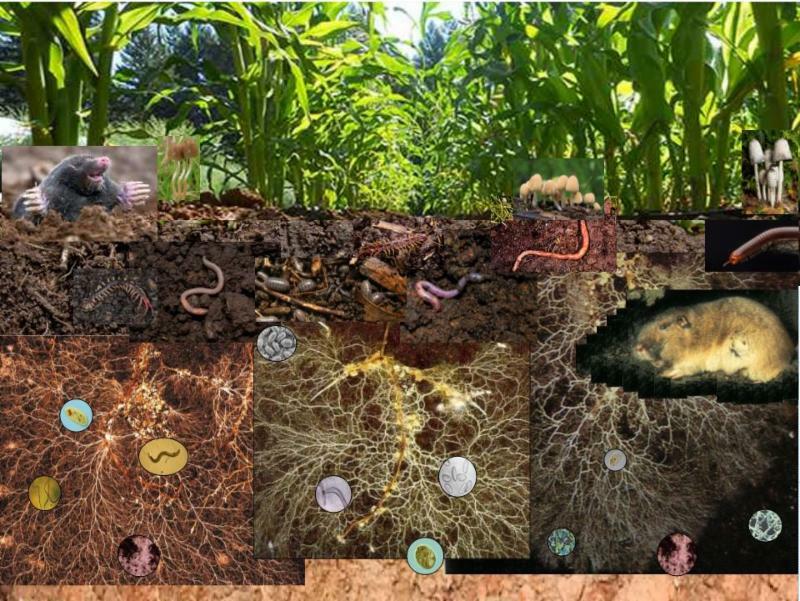 They saw the life in the soil, as depicted on our Soil Biota Board. They tossed rings over bottles that represented welcome and unwelcome grass species on the range, and they tested soils by hand to determine the soil type. In our zone were also the tattered underpants from the Soil My Undies soil health challenge (yes, studies show the soil on those farms is alive and well!). We hope participants enjoyed the chance to get "down to earth," and we can't wait for next year! Thanks to all the organizers of the great day. See more photos of the Agrarian Games here. The California Association of Resource Conservation Districts (CARCD) continues the tradition of bringing together the conservation community from around the state. California leads the country with collaborative, influential and forward-thinking natural resource and conservation strategies and goals. Join us this November to build alliances, become acquainted with local programs, explore opportunities, and strengthen existing partnerships. Click here for more details and to register. 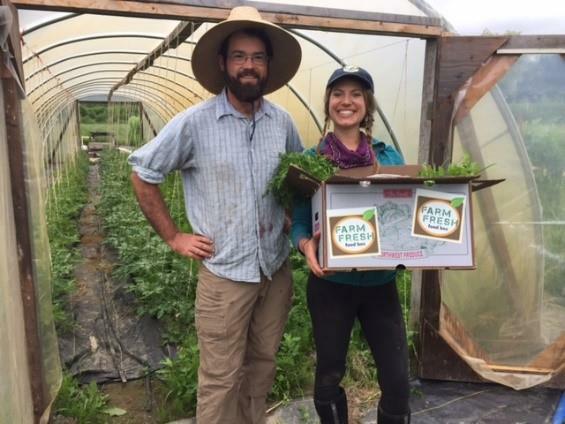 UC Cooperative Extension has secured a market research grant from the USDA ( NIFA, AFRI program ) for a few motivated farms to try out the pre-sale of weekly CSA-style farm boxes at retail stores (e.g. convenience stores, general stores) in rural Marin, Sonoma, and Mendocino counties. Apply if you are a diversified farm looking for additional or new direct-marketing channels; or interested in adding/shifting some sales to new local customers; you have experience running a CSA and/or selling to wholesale buyers and making local deliveries; you’re innovative. Learn more about the Farm Box Program -- contact Julia Van Soelen Kim, Food Systems Advisor for the UC Cooperative Extension, jvansoelen@ucanr.edu , (415) 473-2708. 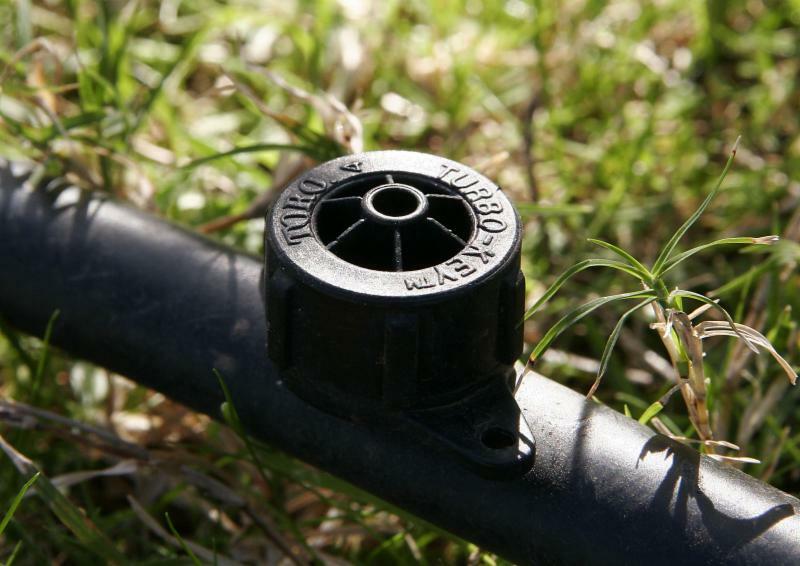 Irrigation needs decrease by approximately 50% from Summer to Fall! For every 10 minutes you irrigated your plants in July, you only need to irrigate for 5 minutes in October. Provide your input on the draft goals, objectives, strategies, and performance measures of the Vital Lands Initiative - a comprehensive plan that will guide our future land conservation work in Sonoma County. Click here for more public meeting dates and information. Calling all teachers and educators, here is a great opportunity to tool up and lead your students in your own "Acorns to Oaks" program. Initiated by Napa County RCD, Acorns to Oaks is a program that involves the community in restoring native oak woodlands in Napa County. During this workshop, teachers will learn activities that engage 5th-12th grade students in local oak ecology and restoration. Teachers will also learn techniques for leading students in acorn collection and planting. Sonoma County teachers and educators are welcome to attend. To learn more and register for this FREE workshop, RSVP to Frances@NapaRCD.org or call 707-252-4189 x 3124. Holistic Management International's "Whole Farm/Ranch Business Planning Workshop" is taking place this fall. Sign up now for 6 days of class, from October to December 2017. While many folks are attracted to farming and ranching because of their love of the land or their desire to do truly meaningful work, farming and ranching is still a business. HMI knows that to create a sustainable, healthy agricultural enterprise, you need to run it like a business. HMI has created this course to give both new and experienced farmers and ranchers the knowledge and tools they need to do just that. While many of HMI's other programs teach both business and production techniques, this one will focus on the business side of your operation. Because agriculture isn’t just your passion, it’s your livelihood. For more information, click here . Please come and help us celebrate our 25th Anniversary! This year it will be on November 4, same time, same place as always, with food provided by local chefs. The Board and the volunteers have had such a good time over the last 25 years writing easements, organizing restorations, providing beautiful and informative public hikes, and doing all the other things we do to help preserve this wonderful landscape we all know and love. We really look forward to seeing you! Click here for more information. The below events have been reposted from California Climate and Agriculture Network (CalCAN). Gold Ridge RCD is a partner of CalCAN. The University of California Sustainable Agriculture Research and Education Program (UC SAREP) will host a free workshop for all farmers who want to learn about building soil health. Through demonstrations, hands-on exercises and field observations, it will focus on organic systems, but will include principles and practices relevant to all systems. Click here for workshop details. The workshop will lay out the science of carbon sequestration and how carbon farming can be an organizing principle for regional economy, local food systems and regional climate plans. Best practices for carbon ranching and farming systems will be shared by innovative farmers. Click here for workshop details. The National Center for Appropriate Technology (NCAT) and the USDA Natural Resources Conservation Service (NRCS) present the 3rd annual statewide sustainable agriculture conference for Spanish speaking farmers. This conference brings together the Latino farming community, the agriculture industry, advocates for sustainability and agribusinesses for a day of workshops, networking, and learning from fellow farmers. Click here for more details and to register. The annual Quivira Conference is internationally renowned for bringing together leaders, innovators, and stewards of the land for three days of provocative plenary presentations, roundtable discussions, and networking with diverse attendees from across the southwest, the country, and globe. Quivira’s outstanding speakers and attendees contribute expertise in ranching, farming, conservation, community, and all things soil, which is the key to it all. Click here for more details and to register.